A nice compact size, the Sunny Health & Fitness SF-1405 Flywheel Elliptical Trainer is a great entry-level elliptical machine that will fit into a small space in your home and gives you a total body low-impact workout. Supporting your body weight, elliptical trainers work both your arms and legs, much like the action of skiing. They also give you an effective cardiovascular workout too. 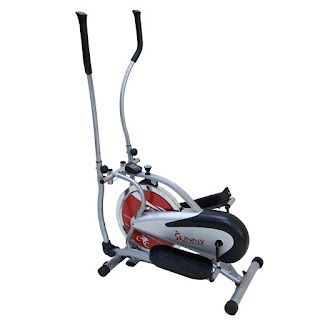 The Sunny Health & Fitness SF-E1405 features dual-action handlebars (swinging or static) so you can choose whether to work both your arms and legs together or just your legs. 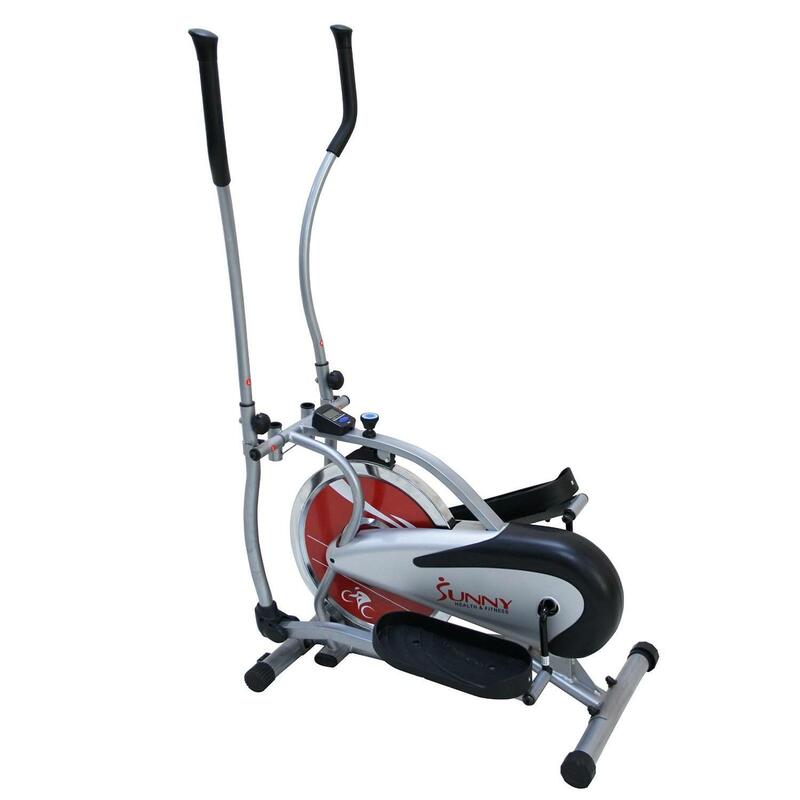 The Sunny Health & Fitness SF-E1405 Elliptical Trainer incorporates a 16 lb chrome flywheel and a chain drive mechanism which together provide quiet, smooth and stable riding momentum. The continuity of the flywheel spin allows for a smoother elliptical feel over other types of machines, resulting in less stress on joints. Resistance is provided with the felt fabric brake pad system that allows for varying tension levels. The Sunny SF-E1405 features large anti-slip pedals for safety and user comfort. The Sunny Health & Fitness SF-E1405 Flywheel Elliptical Trainer comes with a LCD workout monitor that displays your workout stats such as time, speed, distance, scan and calories burned. Useful tip: Working out for just 30 minutes on an elliptical trainer could burn approx. 310 calories for women or 378 calories for men, depending on the intensity of your workout. Comparing Sunny Health & Fitness SF-E3608 versus SF-E3607 Magnetic Elliptical Trainer, What's the Difference?